She was the first woman of colour to be Attorney General for California and only the second ever to be a United States Senator. Now she is running for President. Yesterday morning Kamala Harris, 54, became the first ever woman of South Asian heritage to announce she would run for President. And as one of the highest profile candidates in the race for 2020, she has a viable chance of winning. Here are a few facts about Kamala you may not know. Her mother Shyamala Gopalan moved to the U.S. to study when she was just 19 years-old. She came from Tamil Nadu in south India and married Donald Harris, later giving birth to two daughters: Kamala and Maya. In her autobiography, The Truths We Hold: An American Journey, Kamala Harris wrote: "It was really my mother who took charge of our upbringing. She was the one most responsible for shaping us into the women we would become. And she was extraordinary." Her mother was also a breast cancer researcher and civil rights activist. Her father was a Stanford University economics professor who originally came from Jamaica. Shyamala Gopalan's involvement with Civil Rights Movement was also noteworthy. Indian immigrants have not had a history of participating in CRM and expressing solidarity for racial equality- Gopalan was not exceptional but certainly a small minority within community!! Her grandparents were activists too. Her grandfather P.V. Gopalan was part of the Indian independence movement. "My grandmother, Rajam Gopalan, had never attended high school, but she was a skilled community organiser," Kamala wrote in her book. "She would take in women who were being abused by their husbands, and then she'd call the husbands and tell them they'd better shape up or she would take care of them." Her sister, Maya Harris, is a lawyer, public policy advocate, and was a senior figure at the American Civil Liberties Union (ACLU). 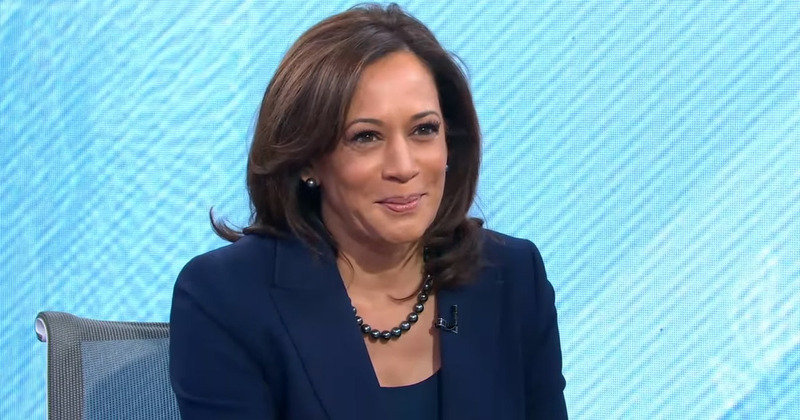 Harris made her announcement to run on Martin Luther King Jr Day and then had a press conference at Howard University, a historically black university in Washington DC. Journalist Yamiche Alcindor said it "illustrates her putting race and her blackness at the center of her bid". But Kamala doesn't downplay her Indian identity either. In her book she wrote: "My mother, grandparents, aunts, and uncle instilled us with pride in our South Asian roots. Our classical Indian names harked back to our heritage, and we were raised with a strong awareness of and appreciation for Indian culture." She wrote in her book: "My mother understood very well that she was raising two black daughters." "She knew that her adopted homeland would see Maya and me as black girls, and she was determined to make sure we would grow into confident, proud black women." Make no mistake - she is running on a very progressive platform: universal healthcare, a $15 minimum wage for everyone, making college tuition-free, more gun control, cannabis legalization and more immigrant rights. But her main focus is on reforming the criminal justice system. She became a passionate advocate for restorative justice and for ensuring minorities are not unfairly penalised by the law. She has also said her campaign will not take a dime from corporate PACs, "who have gamed our political system".